A cheering development out of New Mexico is that the GE Foundation is granting $4.6 million to the University of New Mexico Health Sciences Center in Albuquerque to expand its Project ECHO (Extension for Community Healthcare Outcomes) to increase mental health expertise delivered by eight selected community health centers. In this mainly rural state, there is nearly nil access to mental health and addiction services in many areas. 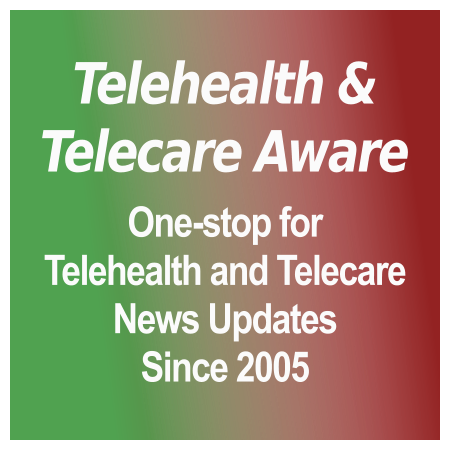 This model of telemedicine consults between specialists and primary care providers in these centers started with treatment for hepatitis C. Unfortunately, the telemedicine consults do not extend directly to the patient. Project Expands Reach of Mental Health Providers Hat tip to reader Ellen Fink-Samnick of Ellen’s Ethical Lens. Innovation in large healthcare organizations: set up to fail? Wearables are developing into the next big thing in the health tech/monitoring area, and developing beyond the bracelet form factor represented by Jawbone UP, Fitbit and Nike Fuelband. Misfit Shine of course has been touted as the major future player, but has experienced a few bumps on the road to Damascus, taking a technically-caused delay to their bracelet/pendant sensor debut now mid-July and not being compatible with Android [TTA 30 May]. But they have also entered the clothing fray with a trademark filing, according to Mobihealthnews. This article also spotlights wearables makers Zephyr, OMsignal (compression shirts); Heapsylon Sensoria socks. This Editor will be seeing and reviewing wearables such as Basis at CEWeek’s FashionWare, sponsored by Living in Digital Times, next week. Disclosure: TTA is a media partner of the Digital Health Summit, also produced by Living in Digital Times. Also for the NY metro area on the day before the main CEWeek activities is Health 2.0’s MatchPoint|East, a half-day conference with speakers and workshops led by health tech innovators. Topics range from funding (angel, accelerator, crowdfunding), building your IP portfolio and partnerships/collaborations. Agenda here and registration here (a very reasonable $49.00 including closing reception.) This Editor will be attending and reporting. Follow Twitter on @health2con. Do we detect a slight air of surprise in the comment of Pia Rafller, one of the authors of a report by Yale University’s department of Political Science that “The findings do show that the reality is more complicated than at times we like to think, that information can have a different impact on different types of people”? The report was on an mHealth project designed by Google and the Grameen Foundation’s AppLab which allowed users in 60 central Ugandan villages to text questions on sexual and reproductive health to a server and receive pre-prepared responses from a database. The expectation was that the information would lead to a reduction of risky behaviour but it had some unintended consequences… Ugandan mHealth initiative increases ‘promiscuity’ IRIN Africa. If you are in the New York area or can get there on 26 June, you should be attending the Digital Health Summit at CEWeek. There is a definite ‘made in NY’ focus with local healthcare technology companies increasingly being backed by investors [TTA 14 May MIT Forum conference report]. Topics include ‘five technologies we’re betting your health on’, sports and fitness devices and apps, sensors in a wide variety of clothing and other applications, and pharma in the age of digital. Companies include Aetna/Healthagen, Etymotic (quiet sound amplification), Medivizor (personalized e-patient content), SecuraTrac (mPERS), GreatCall and Qardio (vital signs sensors). This Editor will be attending CEWeek exhibits and events, including the DHS, next week; watch this space for a report. For more information, click the sidebar advert. Disclosure: TTA is a media partner of the Digital Health Summit. UPDATE 20 June 2013: SupraUK has announced that Surrey Heath Borough Council has found the first of the eight Golden Keys in the 18th Birthday Competition (details below). Now they have to start planning a community project to fund. ORIGINAL posted 12 June: To celebrate its 18th birthday, UK key safe supplier SupraUK is running a Willy Wonka theme-based competition. Eight of its customers will find a golden key in a delivery. Those eight can propose £18,000 projects to improve their community. Once all eight proposals are in, the public will vote for the project that they think deserves the £18,000. The winner will be the project with the most public votes and will be announced at a Willy Wonka themed birthday celebration in November. Sounds like a ‘win, win, win’ to us! Competition website, main SupraUK site. Our readers have many things which keep them up at night, including that extra taco, but René Quashie of leading healthcare/life sciences law firm Epstein Becker Green adds a few more to the list. While muddling telemedicine (remote consults) with telehealth (vital signs tracking and monitoring), he outlines the legal pitfalls (and consequences) that both are facing: non-compliance with state prescribing and licensure laws (physical examination requirements); lack of highly developed protocols and guidelines (liability exposure); lack of greater coverage and reimbursement by payers (low credibility=low/no pay); HIPAA compliance in privacy and security (lack of protection against unauthorized data access). However, how many of these have already experienced accomodation by state regulators, or have started to modify to follow regulations? Awake yet? This is only Part 1. Things That Should Keep the Telehealth Community Awake at Night (Part 1) (TechHealth Perspectives/EBG blog) Hat tip to reader Ellen Fink-Samnick of Ellen’s Ethical Lens. The treatment isn’t right for that patient to begin with, and asking him to do more of it is only going to make matters worse. The medication and patient options aren’t adequately explained prior to the protocol starting or the prescription–after going home and reading the side effects of the drug, or talking to a friend, the patient opts out. Or the patient doesn’t understand or trust the drug, protocol or doctor. To Dr. Montori, the best health system is not a ubiquitous, authoritarian one permeating every facet of life, but one that actually shrinks in size, makes it easier for the patient to follow treatment, focuses on treatments that reasonably match a patient’s lifestyle so that the person is ‘able to fully play the role he plays in his life’–in other words, meets the patient ‘job to be done.’ Mayo doc: Stop blaming patients. Healthcare industry’s take on non-compliance is all wrong (MedCityNews) Video excerpt 01:50. Previously in TTA: Type 1 diabetes self-monitoring as a perpetual Battle of Stalingrad in The diabetic experience: the fly in the Quantified Selfing ointment. The ultimate in Quantified Selfing? 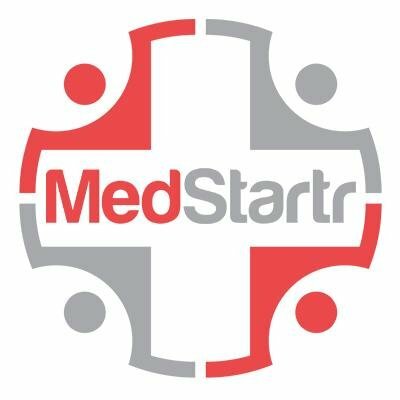 MedCityNews has now added a second day to CONVERGE and much new in the way of content from health systems, payers, medical device, pharma, digital health/health IT, entrepreneurs, government leaders and investors. Speakers include Nicholas LaRusso M.D., Medical Director, Mayo Clinic Center for Connected Care; Wendy Mayer, Vice President, Worldwide Innovation, Pfizer; Bryan Sivak, Chief Technology Officer, US Department of Health and Human Services. Information, schedule and registration.